Why are floor lamps so popular? Are these floor lamps dimmable? How bright are these floor lamps? Are these floor lamps fire-rated? Floor lamps don’t just provide fill-in lighting for a room, they do a lot more, especially when yours is a high-quality lamp from lights.ie. 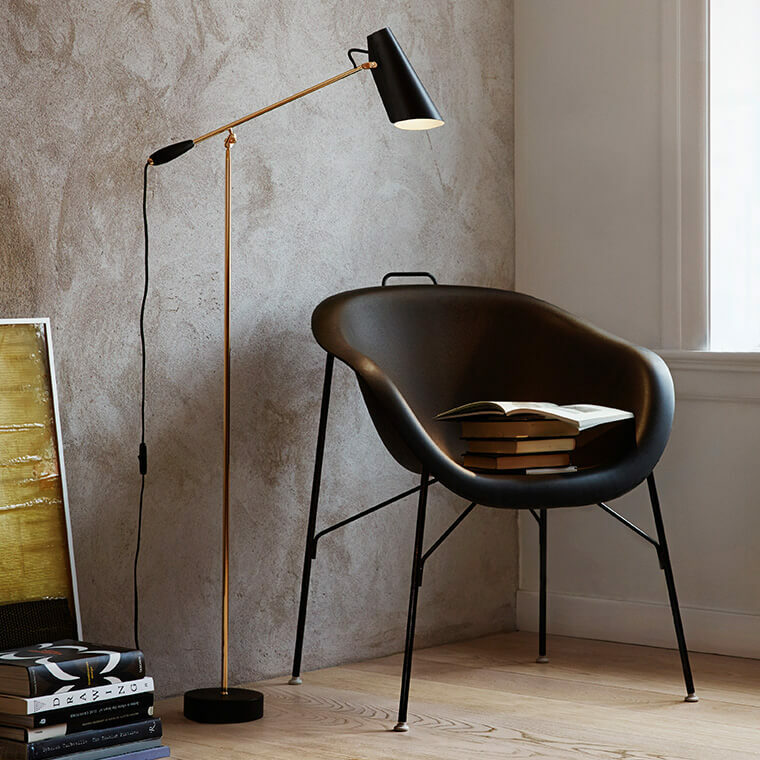 Floor lamps are extremely practical: Yes, they provide fill-in light in a room and can create mood and ambiance - we call this ambient lighting - but they also have very practical uses too. They will give you light to read, work or enjoy a hobby by – this is what we call task lighting. They’ll save money because you can turn off the main lights when you just need one or two floor lights at a particular time. 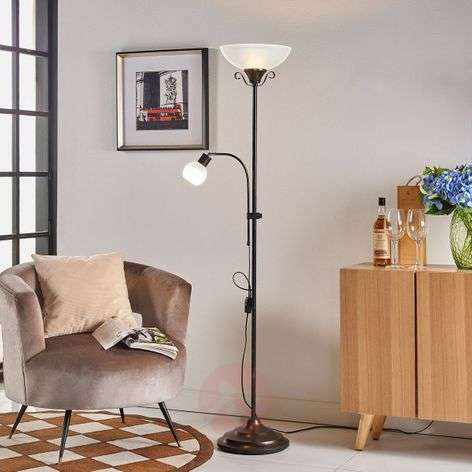 On this site you’ll find dozens of beautiful chrome, grey, black and white and brass floor lamps that are functional but are also design elements in their own right. You can choose one that will integrate straight into your room or choose one that will set a new direction for your décor. 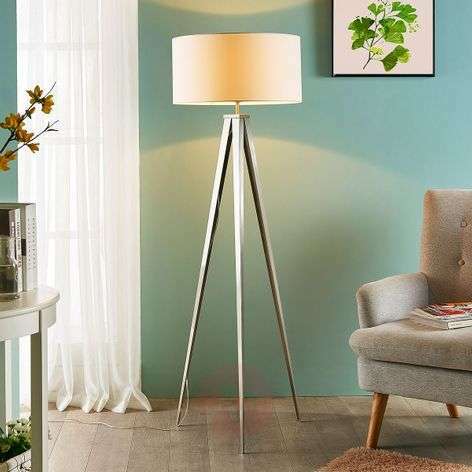 By carefully positioning floor lamps in a room you can create a greater feeling of depth and space. You can also create new focal areas, such as a reading corner or a play area. And, of course, floor lamps are easy to move (compared to ceiling, pendant, wall or other fixed lights) and so you can change the entire feeling of your room quite quickly. We have lots of types of floor lamps here, some of which you may not have even considered for your room yet. An uplighter, for example, shines upwards and diffuses light by reflecting it off the ceiling. Arc lamps have a curved frame with the shade at the end and are very much in vogue at the moment. Many of the floor lamps you see here use LED technology which makes them extremely efficient as light sources. 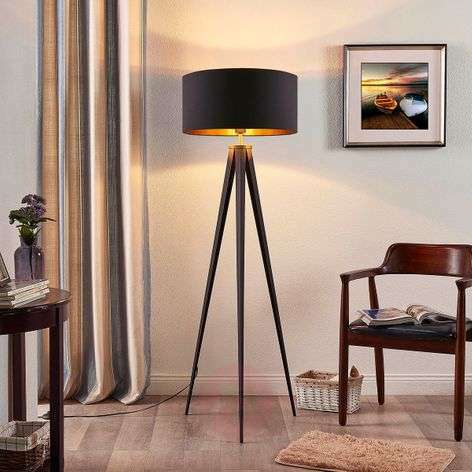 The perfect floor lamp is here so come in, look around and take your time to find it. Floor lamps are popular in homes and business for three reasons: One, they provide both ambient and task lighting. Two, they can easily be moved around a room or space or temporarily removed altogether to make space. Three, they are often a design element, beautifully designed and carefully crafted. What are the main types of floor lamps? 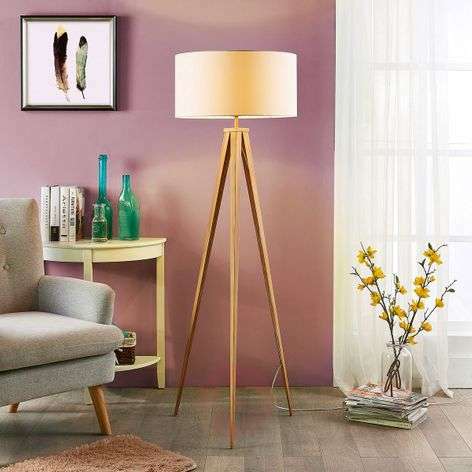 Before you go looking through the pages of fantastic floor lamps here at lights.ie, ask yourself two questions: One, what will the lamp be mainly used for? If it’s mainly for task lighting then consider an arc lamp or one with a flexible frame that lets you point the light in any direction. If it’s mainly for ambient lighting then look amongst our lamps with fabric shades, uplighters and floor lamps that resemble studio spotlights. If you need more help, then it’s here for you. 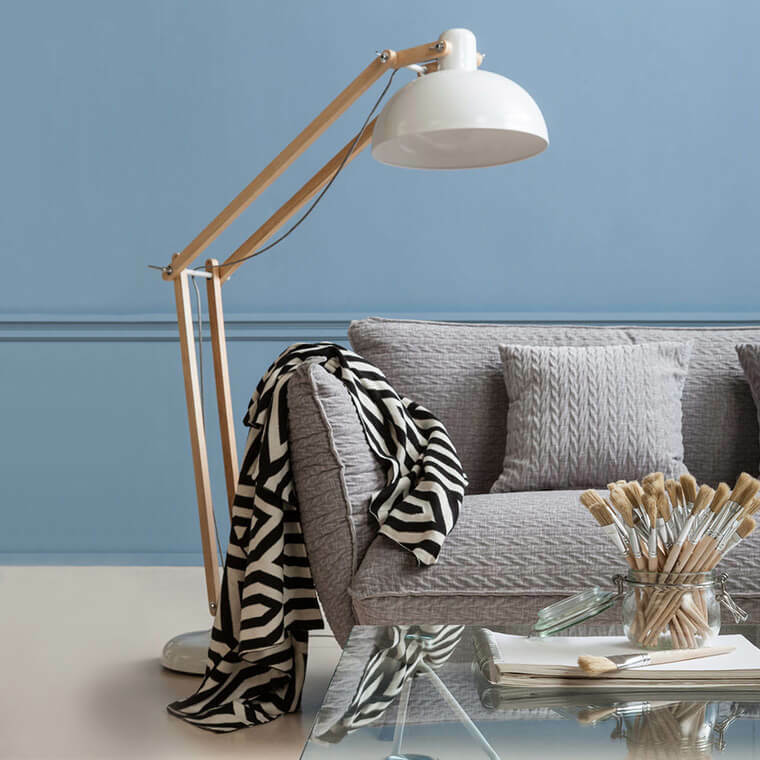 Our floor lamps are available in all sorts of styles, from antique and country house to modern and Scandinavian, Tiffany and crystal to industrial and office. Have a look around and see for yourself. Some of these floor lamps are dimmable. To see which one, use the search filter above, specifying dimmer included. You can also look for lamps with a touch dimmer which is a dimmer function built into the body or lead of the light. Yes, some floor lamps come with a colour remote control which lets you set the luminous colour from warm white (2,700 K) to daylight (6,500 K). The remote control can also be used to dim the light. We measure the brightness of each of our lamps in “lumens”. The table below will show you how this compares to older measurements of watts. Each of our lamps has a rating that you’ll find in the technical specifications on the product page for that lamp. All of our lamps comply with European norm DIN-EN-60598-1. Talk to one of our advisors if you’d like to know more or if you have any questions.